The popularity of MIDI controllers has been rising especially among the musicians. MIDI controllers are used by musicians and DJs to create beautiful and complex creations, mostly controlled using a keyboard set up. Music Room Expressive MIDI Controller will now spice up things a bit by using VR to give music creators an entirely new set of options. As a musician, you would know that owning instruments can be a tricky business. The high-quality drum kits, guitars, or many other instruments are pretty expensive. Also, some musician lives in small spaces which cannot accommodate large instruments. This was the biggest hurdle for small or upcoming musicians. But, soon this problem can be solved using Music Room Expressive MIDI Controller. Music room uses Virtual Reality to give musicians virtual instruments to play. This means that you can play drums, bend and slide the same as they would with real instruments and that too without worrying about the space requirements. The drum samples have been scanned from some of the most popular drum brands like Zildjian, Gretsch, Ludwig etc. 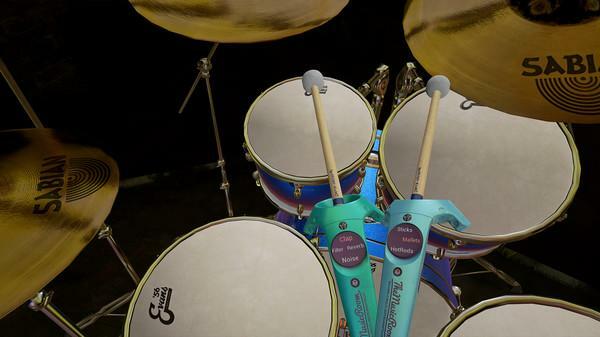 You can use your HTC VIVE wand controller to bang the Virtual drums which will give natural experience. Music Room is the professional-grade MIDI controller which needs DAW like Bitwing 8-Track. This is where Music Rooms falls short as it is not meant for MIDI amateurs. Music Room is available through Steam exclusively for the HTC Vive. This application will cost you £98.99. However, the company is offering an initial discount of 10%.